RÚV national broadcasting service reports that armed police officers will be present to ensure the safety of festival goers at the Secret Solstice festival in Reykjavik which starts on Thursday, as well as National Day celebrations on Saturday to increase safety with regards to recent terrorist attacks in Europe. According to Chief of State Police Haraldur Johannessen police are worried about terrorist attacks occurring in Iceland. Therefore police will be armed at such festivals this summer. He stresses that there is not an actual increase in police arms but rather that some members of the special armed police force will be a part of police presence at such gatherings. 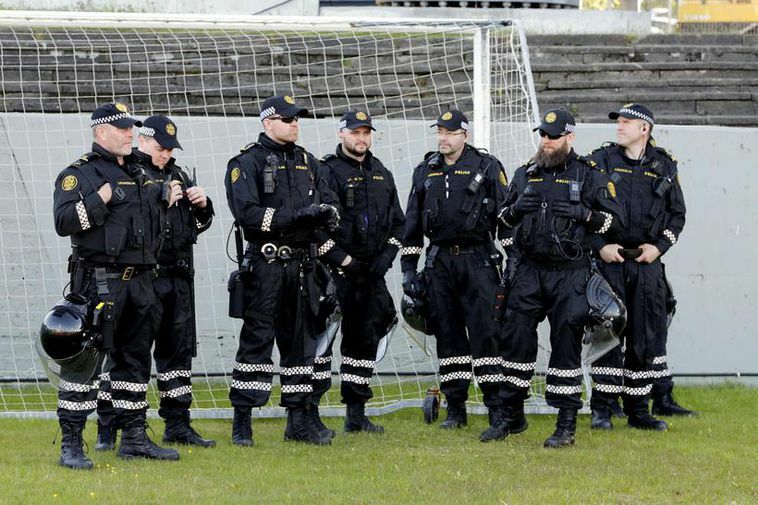 "We are going to make the armed police more visible in Iceland at large gatherings where thousands of people come together." He points at similar developments in Iceland's neighbouring countries. "We assessed the situation and we believe that the situation is such that we cannot let time go by before armed police arrive at the scene. This will increase our reaction time to make it faster,"he says speaking to Rúv noting that in the most recent terrorist attack in London the perpetrators were overpowered by police in the space of three minutes. The presence of armed police in Iceland is highly unusual and the matter is a subject of dispute with MP's and city counsellors voicing their surprise and concern that the first they heard about the matter was in the local press. The Secret Solstice festival is an annual music festival taking place at Laugardalur park in central Reykjavik. Among the acts this year are Foo Fighters and the Prodigy.